Every year, we see hundreds of Mac products. On the hardware side, you’ve got Macs, iPhones, and iPods, of course, but also printers, hard drives, displays, cameras, camcorders, keyboards, mice, speakers, headphones, routers, scanners, and more. In software, the variety is even more staggering, from OS X itself to the Mac Gems that Dan Frakes regularly reviews. Every year, a few of those products stand out—for usefulness, value, innovation, or just overall excellence. Those are the products that are nominated for our Editors’ Choice Awards. The first Mac minis, released back in 2005, were several things at once: credible low-price computers, supercompact, and an obvious attempt to lure Windows users over to the Mac side. Many of us became instant fans. But then Apple seemed to give up on the mini. The company released a few updates over the following two years, but the Mac mini line essentially stagnated. That led many admirers to wonder whether Apple’s smallest computer was headed for the dust bin, a cute but failed experiment. Then in March 2009, a full 19 months since Apple had offered an update to the mini line, the company introduced its biggest Mac mini update ever ( ) (Best Current Price): faster CPUs, more RAM, a new graphics chip, dual video outputs (including support for Apple’s 30-inch Cinema Display), larger hard drives, FireWire 800, more USB ports, 802.11n wireless, Bluetooth 2.1, and an 8X SuperDrive. In other words, nearly every feature of the mini was upgraded significantly, while the prices of the two models were unchanged. And just seven months later, Apple updated the mini again ( ) (Best Current Price), increasing processor speeds, adding still more RAM and (on the low-end model) switching to a larger hard drive. The mini is the forgotten Mac no more: You won’t find another name-brand computer with these specs in this small a package at these prices. Apple didn’t just bring the Mac mini line up to speed. In October, the company also released a completely new configuration, the $999 Mac mini with Snow Leopard Server ( ) (Best Current Price). It’s essentially the $799 mini with a second 500GB hard drive (it has no optical drive) and preloaded with Mac OS X Server ( ); that software normally costs $499 all by itself. It is a full-featured, unlimited-user server in a tiny, energy-sipping package that is ideal for small businesses, some homes, and the education market. We’ll admit it: Even in the Macworld offices, the name of Apple’s latest smartphone was cause for eye-rolling. But once we’d used the iPhone 3GS ( ), we had to admit: The ‘S’ does indeed stand for speed. There’s no question the 3GS is significantly snappier than its predecessor. After speed, the iPhone 3GS’s other big improvement is its camera. While the cameras on the first two iPhones were good enough for quick snapshots, the 3GS upgraded its hardware to a respectable 3 megapixels, and added autofocusing and the ability to focus on a particular spot by tapping on the screen. A macro mode that lets you take close-up pictures is also a welcome enhancement, both for taking pictures and ancillary uses such as scanning bar codes. The iPhone 3GS’s camera also finally brought video recording to the iPhone. While it may not give you the high-definition quality you can get from some of today’s pocket camcorders and digital cameras, the 3GS gave new life to the old adage, “the best [video] camera is the one you have with you.” With an iPhone 3GS in your hand, pocket, or shoulder bag, you can shoot a video clip of your kids and upload it to YouTube faster than you can say “iPod nano.” Other tweaks we liked: A long-awaited and surprisingly good voice-command feature, a much-needed oleophobic screen, and a compass that we suppose somebody must have wanted. This year’s iPod touch ( ) (Best Current Price) isn’t remarkable for its improved speed or slew of new features. 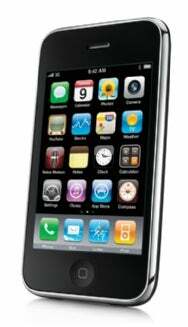 Rather, the iPod touch earns an Eddy this year simply for its outstanding rightness. Sure, you might take the nano or shuffle to the gym, and the iPod classic holds more media. But I’d bet that even if you were lucky enough to own every iPod model on the market, the touch is the one you’d use the most. It’s the iPod you’d turn to when you want it all—music, movies, TV shows, podcasts, audiobooks, e-mail, Web browsing, stocks, weather, maps, contacts, calendars, and, most importantly, apps, apps, and more apps. At this point, Wi-Fi seems to be everywhere—in airports, cafes, hotels, and other public places where computer users collect. But there are still plenty of places where there’s nary a hotspot to be found. A few years ago, we started seeing a solution for such coldspots: 3G modems and routers, which let you get online from almost anywhere you can get a cell phone signal. That technology has been evolving; this year we saw one of the nicest developments yet: the MiFi 2200 ( ). Developed by Novatel Wireless and sold by several wireless carriers, the MiFi 2200 started popping up all over the place this year. One reason it seemed to catch on was its size: at 3.5 by 2.3 by .4 inches, it’s about as tiny as a bite-size chocolate bar, small enough to stash in your pocket. The MiFi 2200 is also about as easy to use as a tech product can be: Press the power button on the top and it connects to your carrier’s cellular network. The SSID and password are on the bottom. You can share its access with up to five users at a time. 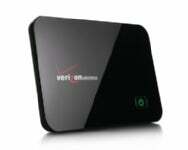 Despite its size, the MiFi 2200 is a fully configurable Wi-Fi base station. Using its Web interface, you can give it a new SSID and password, limit access, adjust TCP/IP settings, and check on signal strength and battery life. In the crowded point-and-shoot market, it’s hard to find a camera that’s very good at everything. But the PowerShot SD780 IS ( ) (Best Current Price) is. The 12-megapixel SD780 IS received some of the highest marks for image quality of any point-and-shoot that we reviewed in the past year. Its color accuracy and sharpness are both excellent, and it keeps the noise down in low-light and high-ISO shots. It also captures video at 720p HD resolution. At the same time, the SD780 is admirably easy to use, with intuitive, easy-to-navigate menus, and a nice 2.5-inch LCD. The camera’s optical viewfinder—a rarity in point-and-shoot cameras these days—makes it easier to frame shots in bright sunlight. And the camera is still small enough to carry with you everywhere. If you want the power and flexibility of an SLR without the size and weight of one, then Panasonic’s Lumix GF1 ( ) (Best Current Price) can offer you an enticing compromise. It also happens to be a great camera. The body of the 12-megapixel GF1 is roughly the size of a point-and-shoot. But unlike those compact cameras, the GF1 lets you use interchangeable lenses and includes an SLR-size image sensor—resulting in top-notch photos, even in relatively low light. The GF1 also records 720p high-definition video, shoots in Raw mode, and offers a full set of manual controls. Like other cameras in this class, the GF1 achieves its small size by omitting a mirror box. That means it also lacks an optical viewfinder. Instead, you’ll have to rely on the 3-inch LCD on the back (or shell out extra cash for an add-on accessory). That might turn off some buyers, but some people upgrading from a point-and-shoot might not even notice: Many compact cameras already leave off the viewfinder. Multifunction printers would seem to be pretty moribund: They print, scan, make copies, and sometimes fax. But with the Photosmart Premium Web C309, Hewlett-Packard says that these machines can do more. The Web C309’s coolest trick is that it supports HP’s Print Apps. The Coupons.com app lets you print coupons before you go shopping; the Fandango app lets you buy and print movie tickets at home. There are 15 apps now, with more on the way. Many vendors offer networked home media servers. But only one of those products earned an Eddy this year: The Iomega Home Media Network Hard Drive ( ) (Best Current Price). 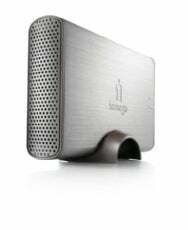 It did so by taking the best features of its competitors and packaging them in a single, easy-to-use device..
Like other media servers, the Iomega Home Media drive stores your music, videos, and photos in one place, where they’re accessible from any Mac or PC on your network. It has its own iTunes server, remote access capabilities, and support for Time Machine and BitTorrent. 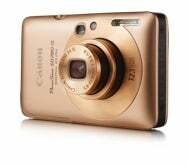 In 2009, it seemed you couldn’t turn around without tripping over a new HD pocket camcorder. Kodak, Creative, Sanyo, and others all released some of these miniature moviemakers. But Pure Digital (now a part of Cisco) really defined the category, repeatedly releasing ever more capable models. Our favorite: the $230 Flip MinoHD ( ) (Best Current Price). 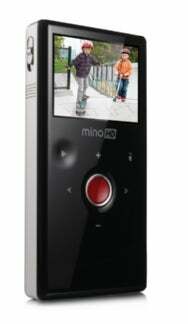 While most pocket camcorders are studies in compromise, the MinoHD offers a great blend of features and performance. It’s easy to operate and solidly built, includes a bright 2-inch display, shoots up to two hours of 720p high-definition video, and includes an HDMI video port. It shoots well in low light and gets colors and tone right under most shooting conditions. Like the other Flips, the MinoHD includes the FlipShare software, which lets you jack the MinoHD into a powered USB 2.0 port, extract video, perform basic edits, and upload the results to your favorite video-sharing service. Tablets aren’t for everyone. But whether you’re a digital artist or just a regular user who’d like to use a pen instead of (or in conjunction with) a mouse, you should take a look at Wacom’s Bamboo Fun tablet ( ) (Best Current Price). The Fun can serve as a giant multitouch touchpad: Press one finger to the tablet to move the cursor; press two to perform gestures. Its pen is unbeatable for graphics work. It offers 1,024 levels of pressure sensitivity—invaluable for creating subtle effects in apps that support pressure sensitivity.